Always courteous, and on time. Have seen very, very few pests since having them in. Have been a customer since 1992. Service’s fine and often I’ve been able to accommodate a time that works for us to be home. However, twice I’ve gotten ants in my house a few days after applications. It’s happened after the last couple of applications and makes me think they are no longer using the good stuff or simply watering it down. Very pleased with prompt, efficient, and friendly service. Although we have had inconsistencies in the service levels in the past, we have been pretty happy with them. Service personnel always friendly & professional. The technicians are always very professional and helpful in any circumstance. We are quite pleased with the service you provide. 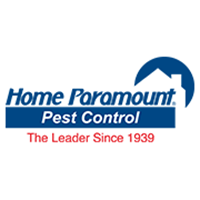 We always receive professional care from Home Paramount. But its early to tell if the work you did was as worthwhile as I'm hoping. Your specialists are always timely, courteous and knowledgeable. Need help for hard to reach locations such as attics. I believe I have been with Home Paramount since 2000. Never strayed because I have been happy with the service. Polite, competent, very prompt - - great staff, wonderful service. I should say I’ve BEEN happy with your service over the years but this past year we’ve had four different service people and each one needs to be shown around. We would really like one dedicated service person again. Ernest was awesome for so many years. We’d love to have him back or maybe he could train all the new people. Butch was a great listener to my concerns and responded very quickly. showed up on time, did a good job. Pleased in general. Need to regularly pay more detailed attention to areas where wasps build nest, particularly near the windows. We have been pest free. Great service and thoughtful technicians. Very happy with the service call. Jo-jo did an excellent service. He is not like other pest technician that i had bad expererience with. Hopefully, i will continue to have my service through Jo-Jo. Very pleased with Home Paramount. Great service. Always helpful and willing to make sure that all issues are addressed. Happy with the service. Techs always friendly. The only thing I require is a phone call ahead of time detailing which service you will be providing as I get several different services. Prompt attention to all (my) concerns. The technician arrived on time. He comes every two months, and so far we have not had problems with mice. We are very happy with Home paramount. Keep up the good work! Dependable and effective. All personnel professional and courteous. Always professional and courteous. Respectful of our care for the animals in the household.